On Friday, May 12, Dean Gorsuch was awarded the Distinguished Alumni Award for Eastern Wyoming College. Gorsuch, who first attended EWC in 1998, was unanimously selected by the EWC Foundation for his character, award winning rodeo career, and embodiment of the spirit of EWC. Gorsuch’s story and rise from humble beginnings to being crowned a two-time world champion provides a glimpse of what is possible when a person pursues their passion with relentless force. After completing a certificate in Welding and Joining Technology from EWC, Gorsuch spent five years as a pipeline welder where he honed his skills and perfected his craft. Gorsuch credits his quality education at EWC with helping him secure a coveted welding position. However, as Gorsuch continued to have success on the NFR circuit he left his welding career behind and pursued his childhood dream of becoming a world champion steer wrestler. Gorsuch attributes a major part of his success to his lovely wife Bekah. “Bekah is the best partner you could ask for. Without her none of it would have been possible, she kept it all going; it was her dream too.” Gorsuch has been married to Bekah for 17 years and they have three strapping young boys Taydon 12, Trell 8, and Teagan 4. Gorsuch credits his wife and family with always keeping him grounded and counts them as his most important achievement. Dean Gorsuch, EWC’s 2017 Distinguished Alumnus Recipient speaking at the EWC Commencement. When asking Gorsuch about other instructors who made a difference in his life, he is quick to mention Stan Nicolls. “Stan is a teacher who cares about each of his students; he gets to know them, and holds them to a high standard of quality.” Additionally, one of the things that Gorsuch appreciates most about EWC, is the quality of welding faculty that he works with. Joel Allworth has been his mentor this year and is always ready with input and guidance along with Lynn Bedient who is an accomplished instructor with vast industry experience. Gorsuch concluded his Distinguished Alumni interview by reflecting about what it means to be an instructor at EWC. “It’s a dream come true to have the opportunity to teach here and be a part of this team. It’s one of the most important accomplishments in my life.” For Gorsuch his faith, love of family, the NFR, and EWC are what add value to his life. 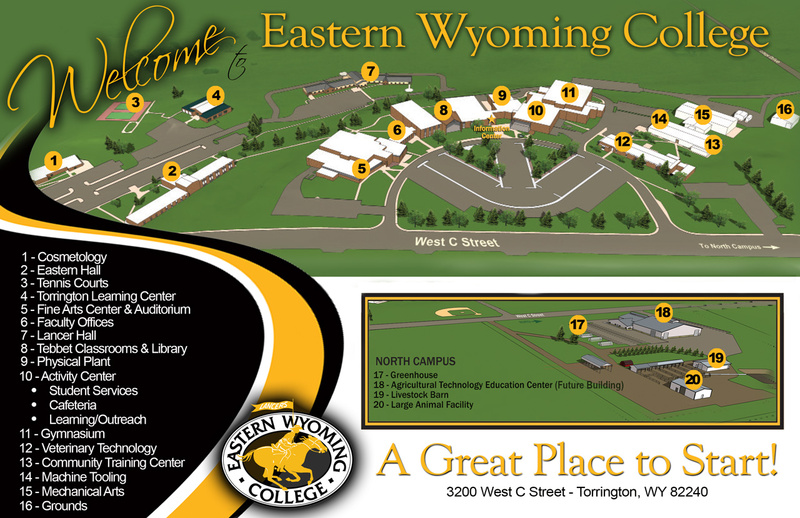 | 307.532.8200 | 866.327.8996 | ©2019 Eastern Wyoming College. All Rights Reserved.